Emulators are third-party software or hardware which enables one computer system to act like another computer system. The work of an emulator is to intimate the work of another system other than the host system. Thus, we have got you the Best iOS Emulators for Windows to have the original Apple experience. The most common reason to use iOS Emulators is for testing purposes by iOS app developers. After developing any Application, they cannot test directly on any device. So, the use of emulators comes in use. Emulators were solely for app developers and testers. The fascination of owning any Apple device is inevitable. Many cannot afford an iOS device. So, emulators come to their rescue. Use your Windows device to emulate or intimate an iOS. It is free of cost(mostly). Though there are few iphone emulator for pc in the market as compared to android emulators for windows systems. These emulators or simulators mimic the iOS and make the Windows look like an iOS. Run Apple apps and enjoy as if you own an Apple device with ios emulator for pc. MobiOne Studio is one the best iOS emulators present in the market. This emulator not only helps in running and testing apps but also helps in creating applications. The created app built with the help of HTML5. So, the apps are accessible from all platforms (be it Apple or Android). 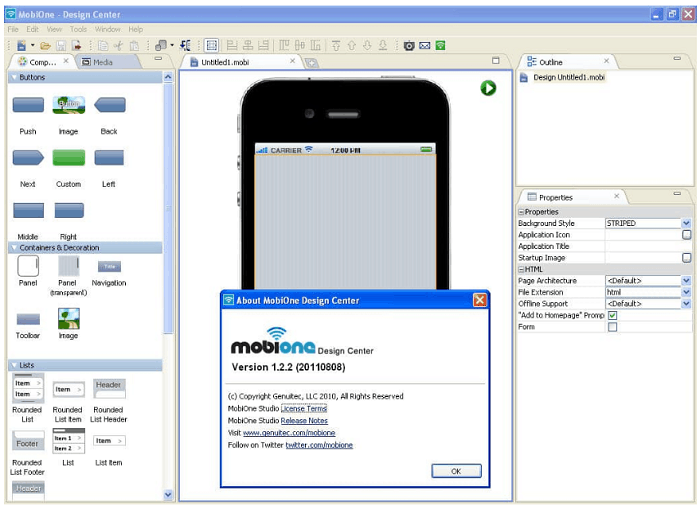 MobiOne Studio is such an ipad emulator for pc app which even layman can use to create iOS or android based applications. The software is not free of cost. But before purchase, you can use a trial version of the software. The software is a must have for beginner app developers. Moreover, it allows sharing of application and customizing icons. It includes features for ipad app design and testing. 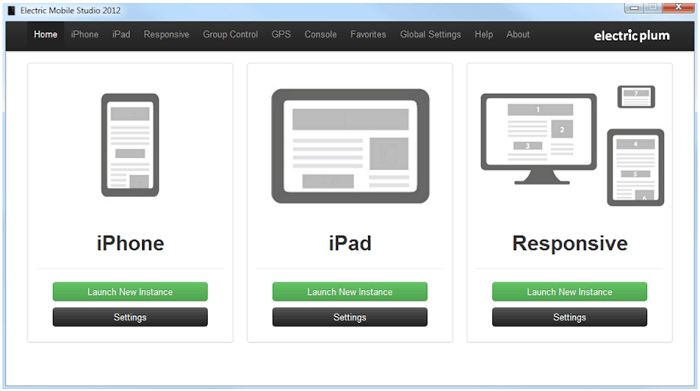 User interface consist of drag and drop options. Users are allowed to rotate their user interface between orientations inorder to view and modify as needed. This offers very advanced app design abilities, which may be difficult to understand for naive user. It focuses more on app development rather than user experience. It is a great ios emulator for windows tool. Smartface comes second in the list of iOS emulators. The software is primarily a developer software to develop, modify, and create iOS applications. Secondarily, it is an iPhone emulator. One can also monitor their iphone, click to know how! The developer software allows users to create unlimited Apple applications free of cost. The software is free, but for more additional features, a paid version ($99) is also there. It becomes easy to test iOS apps. It offers simple user interface. Learning curse is difficult initially. Appetize.io is an iOS Emulators application. It allows users to run Apple and android applications on the Windows PC. An alternate to Appetize.io is App.io, but Appetize.io is preferable. 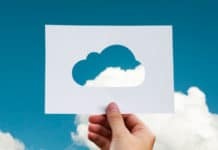 The software allows users to develop applications for both Apple and android devices over the cloud. The emulator is also used by developers for testing new applications. The emulator is free of cost for the first 100 minutes, but after the time limit, it charges $0.05/minute. It helps to embed all iOS apps for web browsers. 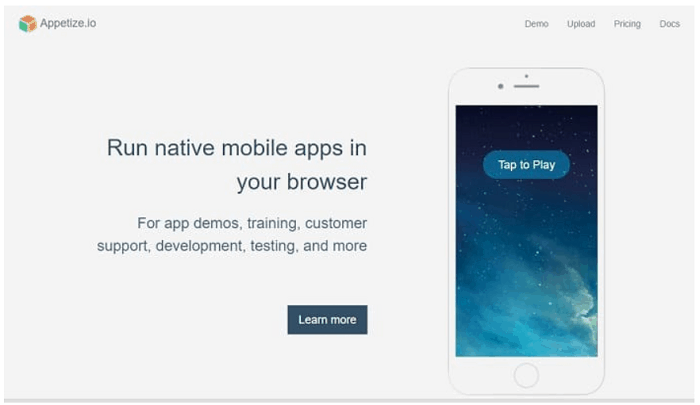 This app uses API to stream in-browser apps. It uses iFrame technology for designing. It is not built for playing iOS games. Air.iPhone is an iOS emulator for windows which makes the Windows PC just like an iPhone. This iPhone emulator supports Adobe Air Framework. The emulator is such efficient that after opening it, the look of the screen changes completely into an iPhone. This software is free of cost and comes preloaded with a lot of applications. All the app functionality depends on the host hardware. It provides best tools for builds and tests. It provides you options to re-run custom apps. This app is not compatible with Windows 10. It requires time to run installer on some modes. The most popular iOS Emulators is iPadian for windows PC. If you have ever used an iPad, you would easily relate it to iPadian. The GUI is like iOS in iPad. It simulates the new iOS 10 on your windows PC. The emulation gives the exact feel and touch as that of any Apple device. It comes preloaded with iMessage, Siri, etc. You can also enjoy watching OS and TvOS on this emulator. This emulator is available in both free and paid versions. It allows users to access the AppStore and download apps from there. With beautiful and simple GUI and app compatibility, no doubt it is among the top most emulators. One can easily play iphone games and run iphone apps on pc using this. No room for testing new builds. App.io is another iOS Emulators tool for Windows. This app is very straightforward and easy to use. The single thing users should do is to Synchronize the applications, iOS, or android into App.io for use. So, no need of downloading or setup. The feel of an iOS and App.io emulator is the same. The menu, keyboard, etc. feel the same. The sharing of data and applications is allowed, both internally and externally. The application is free to use for seven days. It allows the user to test new iOS apps and builds. It is considered a good tool for marketing. This tool offers new levels of user engagement. The image quality is low. It is limited to web-based iOS emulation. 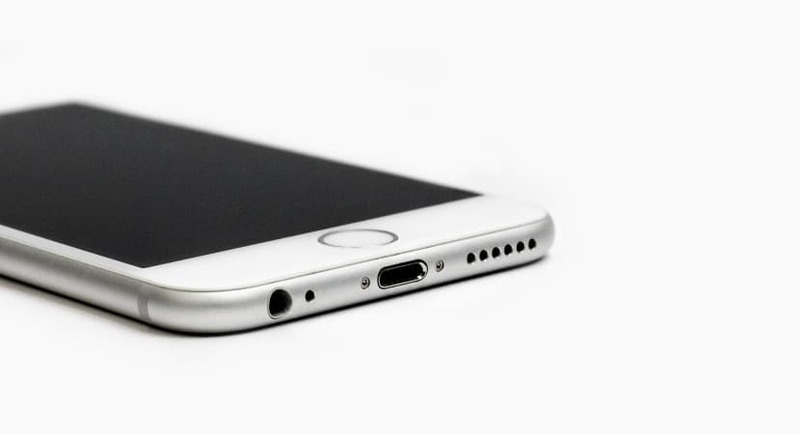 In the early stage of application development and need to monitor the concerns regarding the app, the iOS Emulators are best for you. If you need to access iPhone apps and games on your PC, the emulator comes to use. The emulator is easy to use and free of cost. It consist of very high quality graphics. Cannot test all the apps. iPad Simulator is based on a cloud OS and works as an emulator. It is available as a Chrome Extension. This extension gives the screen a look like that of an iPad. Without purchasing any iPad enjoy the feel with this emulator. Users are also able to use the application for testing apps. The app is free and Windows compatible. It consist of amazing graphics. the app provides realistic simulation experience. It is unable to access Apple Store. It is disabled for testing some specific apps. 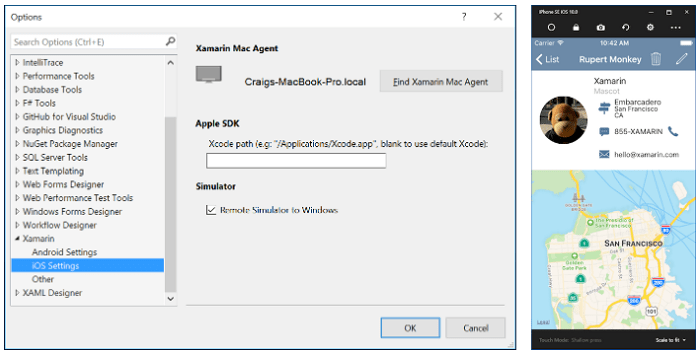 Xamarin Testflight is one of the topmost iOS Emulators app emulators in the market. Just download and install it in the Windows PC. It provides the best user interface and advanced support. The apps run without any trouble. 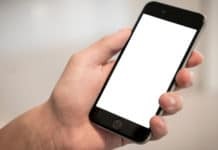 If you face issues in connecting your iphone to your pc you can get help here!. This emulator is a paid ($25/month). It is Windows Compatible. It provides the user with best tools for visual re-shaping of apps. It is capable of creates cross-platform apps for Android and iOS. It requires tricky setup and installation. Remoted iOS simulator is based on a visual studio environment. It is automatically installed along with Xamarin in Visual Studio. Its interface is very user friendly and you would not have to struggle a lot with it even if you are using it for the first time. It supports a wide range of features including screenshot and hand gestures. It supports touch screen feature if your PC has it. Touchscreen support allows you to test pinch and zoom features for apps. Some of the menu options suffer clicking issues. Electric Mobile Studio falls on a bit high-end iOS Emulators which is going to cost more than others. 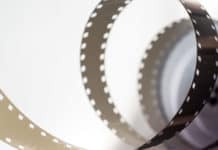 Apart from being expensive, it is very promising about its features and offers a very good quality experience with an amazing interface as well. It provides an advance command palette which can offers quick access to features. You can also set your favorites with quick hotkey support. It supports GPS options as well. It offers a 7 day free trial. The purchased license is transferable to upto 2 devices apart from yours. Leans over the expensive side. 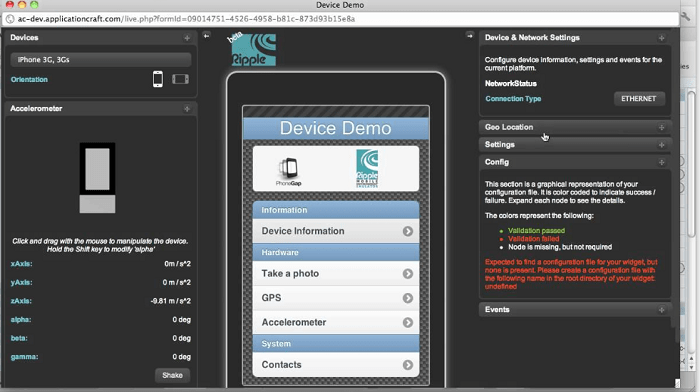 Ripple is actually a google chrome extension which helps you emulate iOS environment in your PC. It help you to test apps instantly before you want to install them on your phone. You can easily download the extension for ripple from the link provided below and start emulating your apps on your PC. It makes it easy to test apps before downloading. Just an extension, not a software. Ninetendo 3DS is basically a gaming emulator that lets you play games without any lagging issues. It is one of the most popular emulators among people who are into gaming. The emulator is capable of displaying 3D effects without any 3D glasses. It comes with a variety of versions such as XL, 2DS, 3DS etc for a variety of users. Avoids lagging during game play. Can only be used for gaming. iMame helps you to download all iphone apps and games. It is well known for its gaming capabilities. You can play iOS 9 and iOS 10 games with the help of this software. There are users who love to play some of the classics that are now available only on iOS, at such situations iMame is the hack. It can incorporate third party apps for importing games that are not a part of iMame. The created list above is the top 14 iOS emulators present in the market. I handpicked them for your easier selection. Any addition and editing are welcome. Convert your Windows system into an Apple device with the help of these emulators. So, enjoy the feel of iOS in your Windows PC.